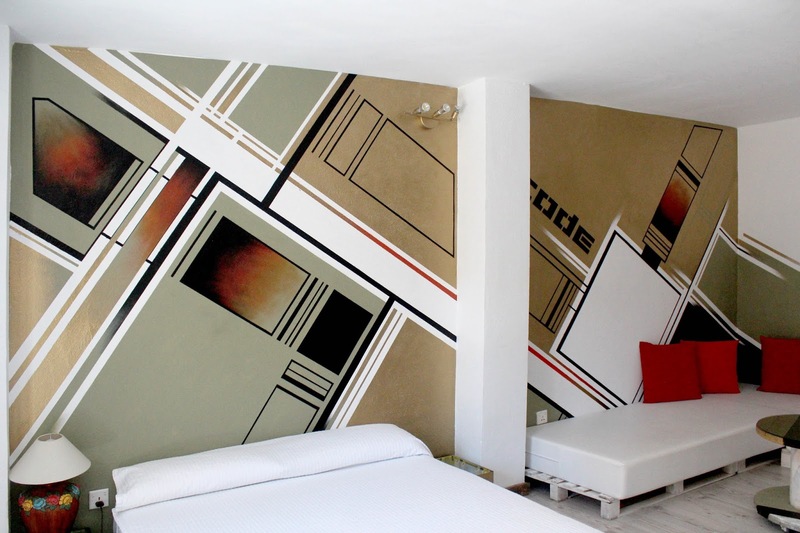 Urban Spaces es un hotel concebido como un proyecto artístico cuyas paredes han servido de lienzo a casi una veintena de artistas urbanos locales, nacionales e internacionales para convertirlo en un pequeño museo con 15 suites, bar-restaurante y azotea privada. Su propietario y gestor, Ira Francis-Smith, se inspiró en el libro que cuenta la historia del mítico art hotel de Nueva York The Carlton Arms, para llevar a cabo esta iniciativa personal con una pequeña inversión porqué, como reconoce su promotor, “se trata de un proyecto pequeño, familiar, en el que se han empleado materiales reciclados y muchos palés en la reforma”. 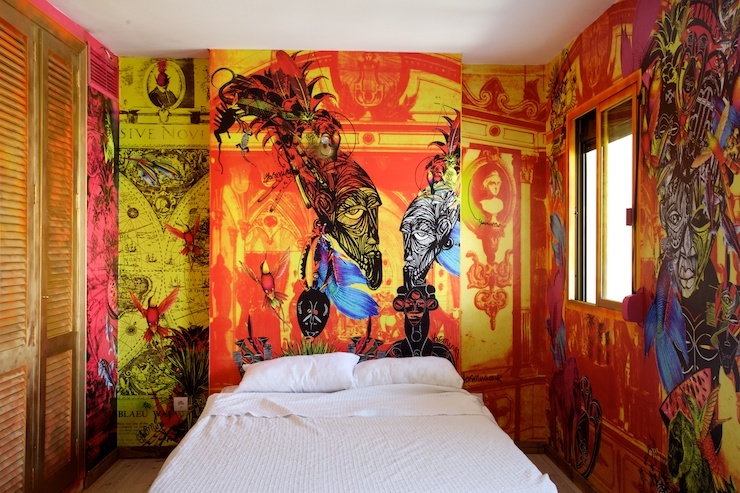 Sus instalaciones se han abierto a la creación de artistas de la escena urbana como Nicolas Dixon, Lauren Baker, Inkie, Philth, Yasmina, Fin Dac, Raúl Moya, Code, N4T4 o Chapter, entre muchos otros; sin olvidar el talento local de la mano de Jerom Ibiza, Hosh y Zsar. 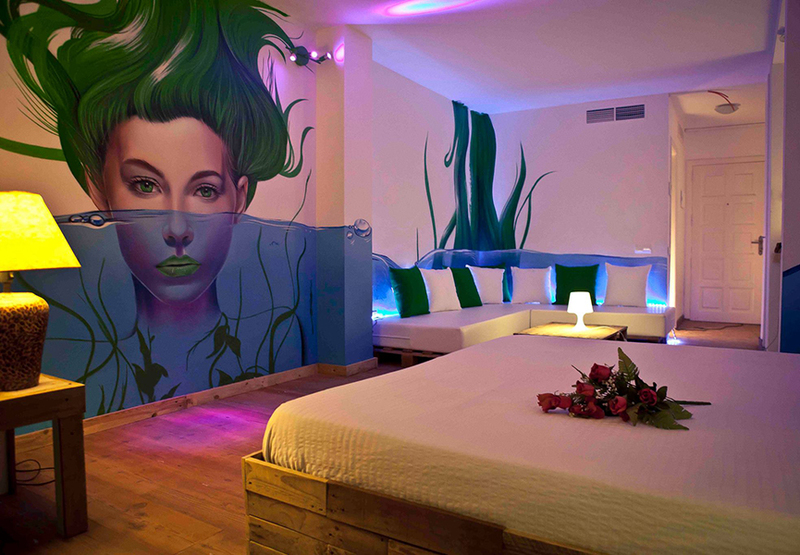 ENG: Freedom of expression and maximum impact, two concepts that immediately spring to mind on an exploration of Ibiza’s latest colourful addition- the Urban Spaces Art Hotel. The idea behind the hotel is one that owner, Ira Francis-Smith, had been mulling over for quite some time, having been inspired by a similar project in The Carlton Arms Hotel in New York a number of years ago. 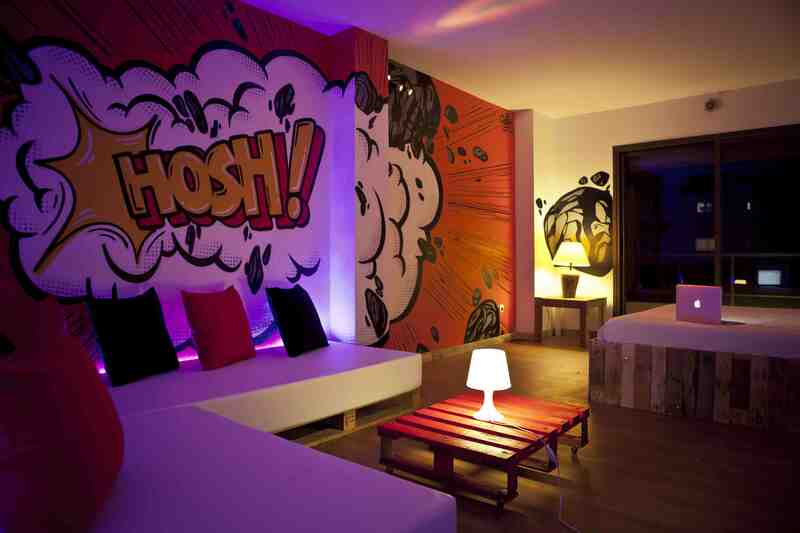 Francis- Smith rightly decided that it was time Ibiza produced a masterpiece of the same calibre, and with the help of Urban Art expert and director of the Westbank Gallery London, Paul Dizzi Saunders, alongside street art pioneer, Inkie, Urban Spaces Art Hotel was born. Here’s a place set slap bang opposite the World Heritage site of the Necropolis Punica, its open air rooftop providing striking views of the ancient walls of Dalt Villa, the old port, the University in the beautiful old military building and the hills of Can Mut in the distance. The hotel’s location in itself provides an interesting contrast between the old and the new and this is definitely a new concept in tourism with a focus on hospitality and service and a desire to make every guest’s stay the first of many.